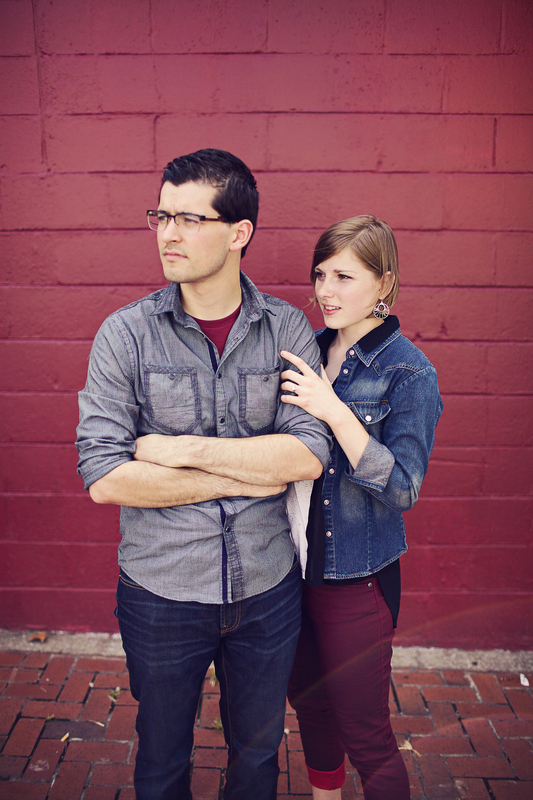 Dave Radford is part of the singer-songwriter husband-wife duo known as The Gray Havens. He and his wife, Licia, live in Chicagoland. Their recently released full-length album is titled “Fire and Stone.” You can download their new song, “Far Kingdom,” below for free. How do you describe your work? What does your day look like? On a daily basis we wear two hats: one is administrative, working with our team to build a business; the other is creative, writing and recording music. When we are on the road, though, our daily work changes dramatically. We spend a lot of time in the car, listening to audiobooks and working on laptops. We also are privileged to offer our gift of music to others, as we perform at venues and receive the generous hospitality of others, who welcome us to their city. How does your work reflect some unique aspect of God’s work? The gospel of Jesus Christ is not rules and regulations about what we can do for God but a story about what he has done for us. The story of redemption, then, has a narrative arc. In fact, Jesus himself used story to highlight this gospel of the kingdom. These parables go below the surface and pierce hearts. Likewise, we describe our music as “narrative pop folk” because our songs have narrative form, like plot and storyline, and our pop-folk style amplifies our storytelling. How does your work give you unique insight into the world’s brokenness? In our industry, there is a huge pull toward commercialization. At its worse, music becomes nothing more than a commodity. The end game is money and numbers. I’m not against these things – we have to pay bills! But we must prioritize stewarding our gift to serve others and worship God. At the recent Word & Words conference, hosted by Sojourn Community Church in Louisville, Kentucky, Mike Cosper offered a helpful suggestion for protecting the artist for the art rather than becoming preoccupied with chasing money. He said that artists should take steps to put barriers between themselves and the point-of-sale, like having an agent, manager, publicist, or lawyer. This makes a lot of sense to us. How does your work serve as a function to love others? When we go on the road and offer our music as a gift to others, we get to see their faces and reactions. The music stirs affections—affections that are often below the surface and left untapped. Music inclines people’s hearts to encounter themselves and God in fresh and startling ways that they might not have known possible. I think this is why the psalmist repeatedly beckons us to sing and make music to the Lord and why Paul tells the Ephesians to make music to the Lord with their hearts, speaking to one another in psalms, hymns, and spiritual songs (Eph. 5:19).